The vast majority of companies using business aviation–85%–are small and mid-size businesses and other entities, including nonprofit organizations. For every Fortune 500 company that relies on business aviation, there are several small businesses that also need their airplane. Our typical client range includes companies with revenues of $20 million annually up to over a billion, but some individuals and companies have far less than that. The notion that only publicly traded companies own airplanes is very much a myth. In some ways, owning an aircraft provides smaller companies more of a competitive advantage than the larger companies. They are differentiating themselves from their competitors by providing faster and more personalized service to their customers. Companies that own a private aircraft are more nimble, more responsive, and better able to take advantage of opportunities and respond to risks by ensuring their people are where they need to be, when they need to be there. Studies show business use of general aviation adds value to a company’s bottom line. But, let me change gears and caution prospective aircraft owners. I see many companies and organizations realize the benefits of business aviation, at which point they become highly motivated to purchase a private aircraft. While this is a successful revelation in every sense, I have seen these same individuals, companies, and organizations act in haste and become embroiled in a less-than-ideal ownership situation. Examples of this scenario include acquisition of the wrong type of aircraft, purchasing an aircraft with poor pedigree and maintenance history, or having paid entirely too much for the aircraft. In the aircraft business, whether you buy new or pre-owned, a seven figure blunder can happen in the blink of an eye. Dallas Jet International is your partner in aircraft research, acquisition and all components of aircraft transactions. We will help you acquire an aircraft that meets your travel requirements cost-effectively. We help you balance the initial investment with operating costs. We also provide options for reducing your cost, such as remote management and staffing using our alliances with major providers of those services. Contact us to find out how we can assist with your situation. Mr. Dinning acquired his formal education at the United States Air Force Academy in Colorado Springs, Colorado, in the areas of Operations Research and Management Science and also holds a degree in Aeronautical Science from Embry-Riddle Aeronautical University. Mr. Dinning brings 16 years of aviation experience from a variety of aviation disciplines, including FAR 91, FAR 121, FAR 135, defense, and shared ownership sectors. A former full-time professional pilot, Mr. Dinning holds a current Airline Transport Pilot (ATP) certificate, and is type-rated in the Gulfstream V/G550/G500/G450/G400/G350/G300, Bombardier CRJ-200, and Citation 510 Mustang. He has logged over 5500 flight hours, with 3500 of those hours in corporate turbine aircraft. Mr. Dinning has been consulted in publications such as Business & Commercial Aviation on various issues related to turbine aircraft transactions. Mr. Dinning brings to Dallas Jet International a rare and highly valuable skill set of operational and business acumen, and has become a leader in the professional marketing and procurement of corporate turbine aircraft all around the globe. He also specializes in aircraft mission analysis, aircraft valuation, and cash flow and operating cost analysis for private aircraft owners. Mr. Dinning has a track record of successful transactions that is well known amongst his clients and colleagues. His reputation for intelligent and meticulous management of aircraft transactions have made him one of the most respected aircraft brokers in the industry. Professionals who pride themselves on prioritizing the focus of each transaction appropriately own Dallas Jet International (DJI). Long-term relationships come first, business objectives second, and aircraft third. This long-term focus and emphasis on the people and business that the aircraft will be serving ensures that each decision is made in the best interest of the client, many of whom have relied on DJI to represent their interests in multiple aircraft transactions over many years. DJI is owned and managed by former professional pilots and aircraft managers, who stay current and active during the free time away from the business. President and CEO, Brad Harris, and Managing Director of Aircraft Sales, Shawn Dinning, are experienced ATP pilots with current type ratings in 13 different aircraft from Citation 500 to Gulfstream G550, and over 13,000 flight hours between them. An aircraft sales professional with an operational and technical background can more fully assess and appreciate a particular aircraft’s strengths, weaknesses, opportunities and risks. Harris and Dinning use this depth of knowledge to their clients’ advantage. DJI operates independently and is at liberty to transact within any make or model of aircraft. Their sole criteria is to ensure the best match with the client’s needs, exclusively representing buyers during aircraft acquisitions, thus preventing conflicts of interest. Harris and Dinning rely on excellent strategic market intelligence, ability to negotiate, and expertise with complex transaction structures for clients with diverse financial positions and strategies. They use the latest technology to research and list aircraft; and have cultivated an extensive network of industry relationships to find information and aircraft unavailable to many competing brokers and agents. DJI has managed numerous aircraft in the past, and continues to manage aircraft for certain local clients. DJI clients now have access to one of the industry leading charter/management and maintenance operations with DJI’s announcement of its brand new business alliance with Pentastar Aviation, a large Pontiac, Michigan-based Charter/Management and MRO (maintenance) company. While brokering aircraft transactions is a large part of DJI’s business, the purchase of aircraft into inventory for resale is becoming an increasingly big part. DJI is putting the message out to owners, brokers, banks, etc, that we are in the market to buy aircraft, including trade-ins and repossessions. “Buyers and sellers need expert representation in the business aircraft marketplace,” explains Brad Harris. “We manage the complexities of the process from start to finish to our clients’ advantage. While we are often labeled as ‘brokers,’ our clients call us ‘trusted consultants’ who rely on us to buy, sell or manage their aircraft in a manner that meets their objectives with the best possible financial results.” Shawn Dinning adds, “Never underestimate the value of a reputable broker. Our clients benefit from the fact that aircraft buyers and sellers (who are not represented by DJI) prefer to work with clients represented by DJI because they know they will have a smooth transaction process.” Dinning advises anyone who is hiring a broker to really get to know that firm’s background, aviation experience, and reputation within the industry. 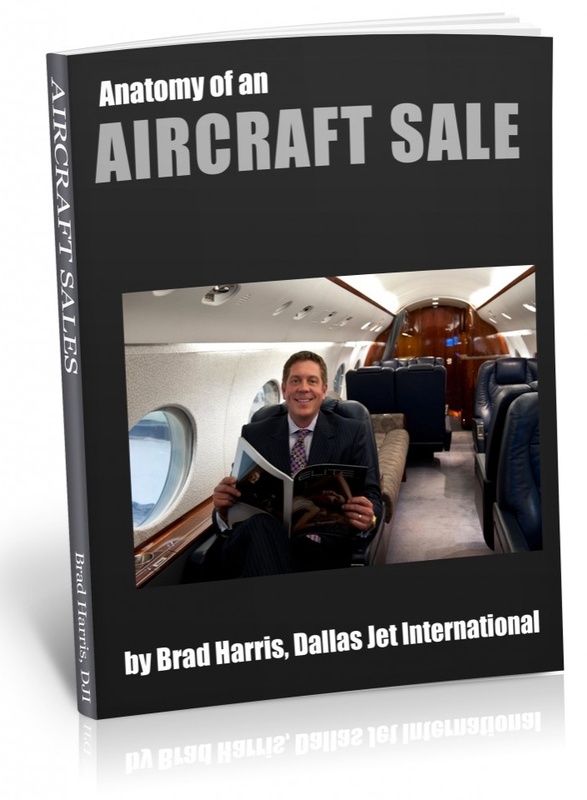 Founded by Brad Harris in 2001, Dallas Jet International joined the National Aircraft Resale Association (NARA) in 2008. DJI’s clients benefit from the global collective knowledge, and the industry benefits from the ideals of the group, which defines and maintains the highest professional standards. 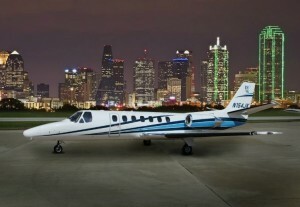 For more information about Dallas Jet International and their capabilities, visit their website at www.dallasjet.com or call the Southlake, TX, office at 817.328.2900 or the Dallas, TX, office at 214.459.3303. You are currently browsing the Aircraft Sales Insights blog archives for January, 2012.